AHH! Congrats!! So happy for you guys! I don't want to rush your pregnancy, but I can't wait to 'meet' her!!! HER! HER! YAY! Exciting!! Can't wait to meet her too. I know her and Ford will be best of friends, Congratulations! Girl babes are so much fun! Ford is going to be a great big brother. Congrats!!! Little girls are the sweetest!! Fords going to be the best big brother and will protect her!!! Yaaaaaaay!!!! So exciting!!! A baby girl Hart! Congrats, my friend. How exciting!!! Yay!!!!! 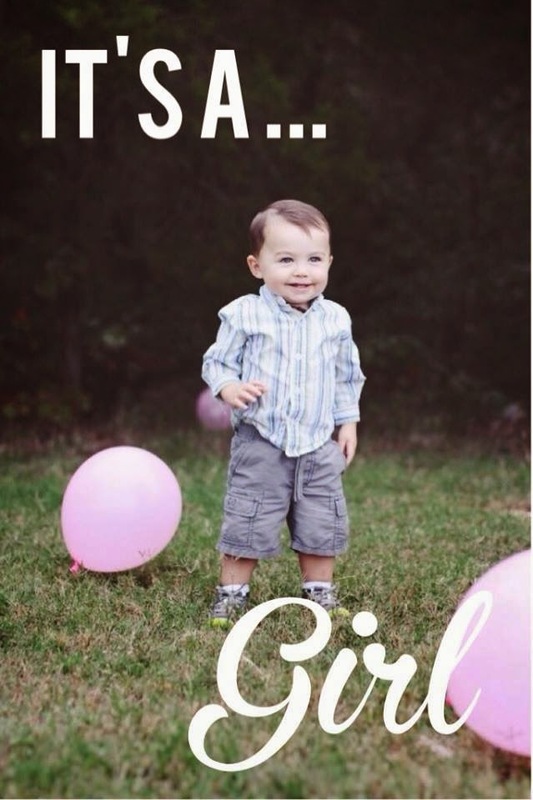 I also had a boy and then a girl and I give thanks for it every day. So sweet having one of each and also seeing how they love one another so much. Super excited for you guys! OMG Congrats!! We found out last week we are having a girl too. I am so excited for you guys and so glad I can follow along with your pregnancy like I did last time when I was pregnant with my little guy. I'm so stinking excited for you!!!!!! Congratulations!!! I'm so happy for you and your family!